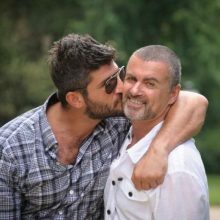 George Michael’s ex-boyfriend Fadi Fawaz is selling off the singer’s possessions as he attempts to make money while embroiled in a feud with the late star’s family. British pop star George Michael died of natural causes, a senior coroner has confirmed. Fadi Fawaz has blasted a report alleging George Michael tried to end their relationship, calling it ‘lies’.